Aliens, Jews, reviews and song! I’m excited to announce that Jews vs Aliens – which includes my story ‘The matter of Meroz’ – is now out! 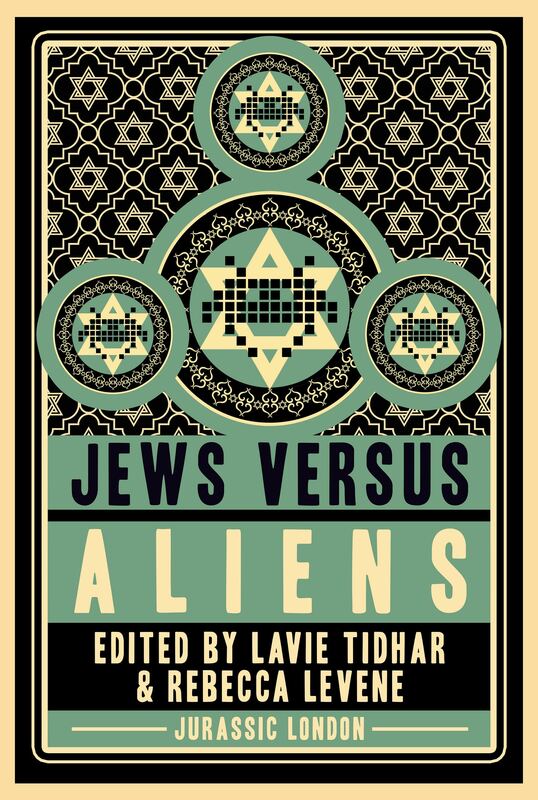 Jews vs Aliens and its companion volume Jews vs Zombies are both edited by Lavie Tidhar and Rebecca Levene, and published as e-book originals by Jurassic London. A limited paperback edition will follow in the autumn. Proceeds from these books will benefit Mosac, a charity that provides support to non-abusing parents, carers and families of children who have been sexually abused. Based in Greenwich in south London, Mosaic offers a national helpline, as well as counselling, advocacy, support groups and therapy. I’m proud to find myself in a stellar line-up that includes The Big Bang Theory’s writer/co-executive producer Eric Kaplan, BSFA Award winning science fiction writer Adam Roberts and Nebula Award winner author Rachel Swirsky. Another name that stands out for me is Orange Prize winner Naomi Alderman, since I’ve read and enjoyed all her books – Disobedience, The Lessons and The Liars Gospel. I’ve also been wanting to read Shimon Adaf’s novel with PS Publishing, Sunburnt Faces, so I look forward to his story in JvZ. 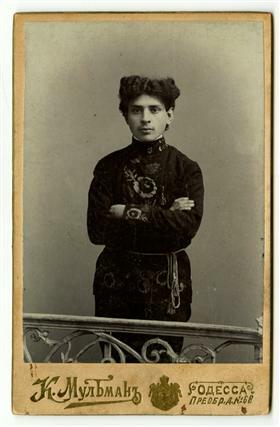 My tale ‘The Matter of Meroz’ takes place in Russia in 1905, in the wake of a partial revolution and the reaction that unleashed a new wave of pogroms against Jewish communities. Naturally, there were different views on how to deal with this threat. Raizl is an activist in the socialist General Jewish Labour Bund who takes part in militant self-defence groups and labour agitation. Meanwhile, her kid brother Samuel has taken to kabbalah in a big way, but regards golems as passé. Instead he gazes at the stars, pores over the Talmud and looks for solutions in the ‘leaping of the roads’ and the ‘crumpling of the sky’. It’s worth mentioning that the Bund was resolutely anti-Zionist and also that women played a major role in the organisation. You can find out more about the Bund from the YIVO Institute for Jewish Research, and this article at the Jewish Women’s Archive. The second review is not such a new one, but it is now making its first appearance online. Peter Tennant’s review of Helen’s Story originally appeared in Black Static 36, where he reviewed Helen along with a recent edition of Arthur Machen’s Great God Pan. All this is now online in Peter’s Trumpetville blog. Peter’s perceptive observations on Machen and the qualities that continue to inspire contemporary writers also offer a good introduction to new readers. He writes that Machen “carefully constructs a schemata in which the ineffable seems just a heartbeat distant from the everyday, with the wonders of the natural world shining through the story, but all the same at the calm centre of the tale is the idea that the mysteries will forever be beyond our grasp…” This mingling of the mundane and the fantastical is what inspires me in the work of writers such as Elizabeth Hand, Caitlin Kiernan, M John Harrison (especially Course of the Heart and Signs of Life), the late Graham Joyce and Joel Lane, and many others. And a Colombian folk-punk version: Finally, thrash metal! And now I’ll end the post with a more recent song, though it’s based on a very old tune. I saw these guys live last January, and they were excellent. Highly recommended if they come to your town. Dumay dumay! Think!